The 3 zone Bonnell spring support system allows correct spinal alignment by supporting the heaviest part of any sleepers body, the lower back & lumbar area. 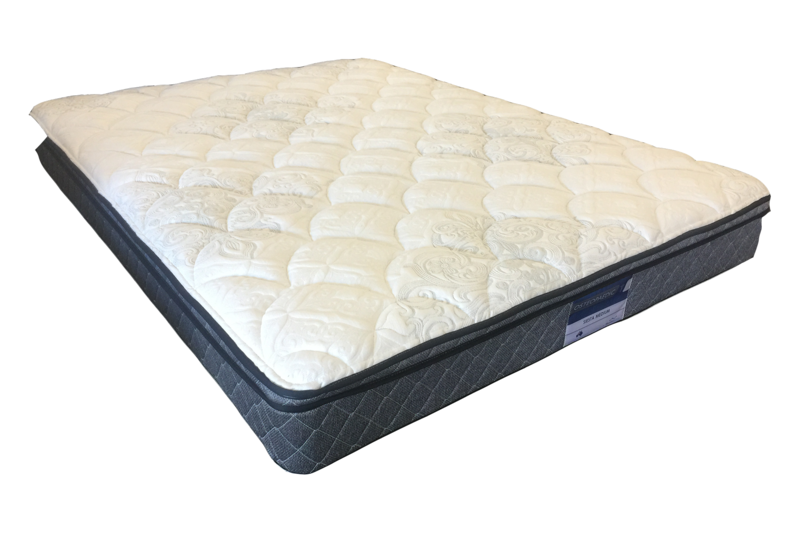 It offers a third centered spring zone with a full perimeter edge support to maximise the sleeping surface of the mattress giving superb support and brilliant comfort, all in a value for money mattress. A pillowtop with WA made foam comfort layers. Quality stretch knit cover for breathability. Medium feel. 10 Year Guarantee.